An interview series designed to highlight the creativity, drive, and skill of the amazing students at Denver Writes, “Artist Spotlight” poses questions about writing and the writing life to authors age 8-15 and includes an excerpt from the author’s poem, story, play, comic, or essay—created in our studio at Back Space. Clary is a ten-year-old writer who attended the June 2014 Summer Camp, “Adventure Tales and Survival Stories.”During the weeklong camp, she authored the short story “The Dark Side of the Light.” Click here to read an excerpt from her story, and an interview with her! 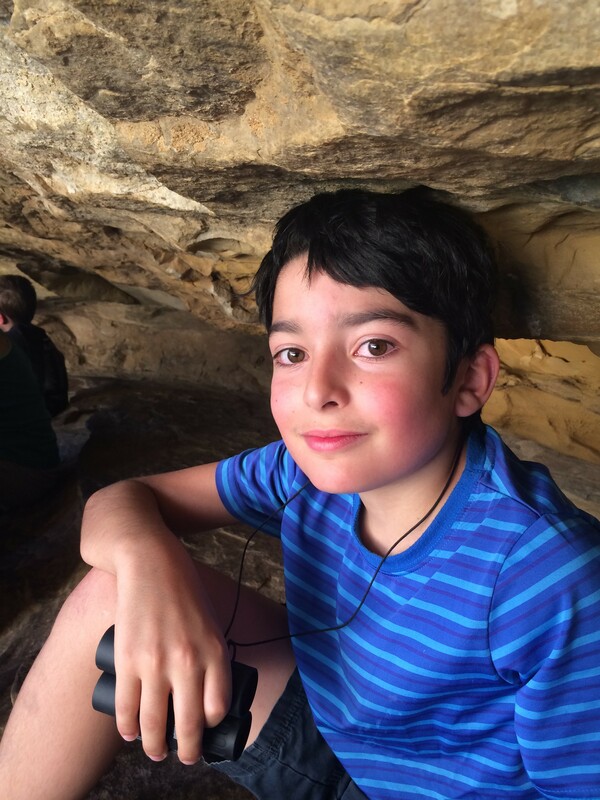 Diego is an nine-year-old writer who attended the August 2014 Summer Camp, “Adventure Tales and Survival Stories.”During the weeklong camp, he authored the short story “Hunt of the Monsters.” Check out his interview and read his story here! 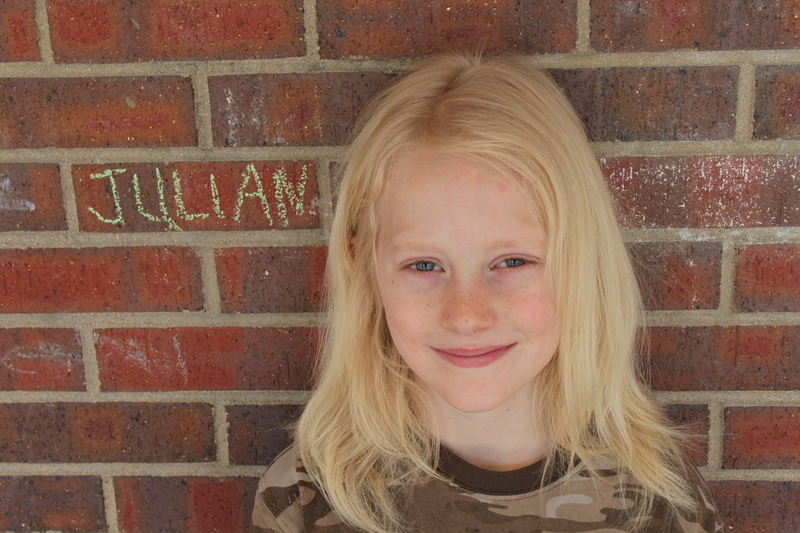 Julian is an eight-year-old writer who attended the June 2014 Summer Camp, “Adventure Tales and Survival Stories.”During the weeklong camp, he authored the short story “COMPUTERIZED.” Check out his interview and read an excerpt from his story here! 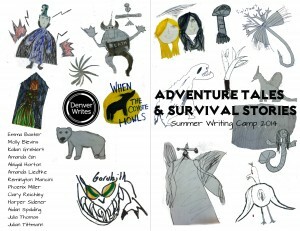 Molly is a 10-year-old writer who attended the June 2014 Summer Camp, “Adventure Tales and Survival Stories.”During the weeklong camp, she authored the short story “CAKE.” Read an excerpt from her story here, as well as her interview! 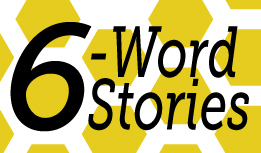 We got together to write about true stories–but we could only use SIX words to do it. We talked about how we felt like we knew the people who wrote them–we understood exactly what they meant. With only six words, we were able to conjure up an image of each writer, and we were inspired to write our own. Here they are. As one volunteer says, “These are incredible. They’re so touching and poignant and poetic and wow.” We hope you enjoy them! The things people do not think. Watching for clues, clues of murder. Life, death, war, peace, magic, ME! Best friends through life and death. Watching, waiting, observing. Stealing a cookie. Sneaking into sister’s room. Oops, caught! A blank page, why give in? Pencil of gold, paper of dreams. Jab, poke, lunge, the final point. Chocolate? Veggies? What madman made this? Flashing silver, fading footsteps, a scream. Who needs instructions? A chainsaw apparently. Dark crimson dripping, a knife clattering. Silence, the holocaust is finally over. Safe, my guard dropped, arrow flying. Cup of life, blood of immortals. Solid things fade, memories are forever. New friends, new ideas, all fun! I fell. I forgot to cry. A flaw in my flawless plan. Cobblestone streets, far away from home. Out of my shell. Nothing changed. Your appearance becomes others’ thoughts. Doors to open, more to close. Spinning freely, no rules be told. Funky, spunky, forever we will write. Pencils and paper, ideas spark imagination. Follow sensible rules. Break unreasonable ones. Brother’s room. Steal underwear. Soak. Freeze. Love. Betrayal. Bloody stumps. Broken heart. Mom! Mom! Liv ate my chocolate! What? It was just sitting there. Foil knife vs. pickle = sister-love. Books, chair, alone, quiet. Ah, paradise. Not bad, good. Not normal, weird. Bad poem, odd decision, really Apollo? I don’t like pears, everyone does! I went camping in the mountains. Regret is guilt, but good cookie. Chocolate shake good, veggies a no-no. Coffee shop above, imagination down below. Boys are awesome, girls are better. Expressing feelings in words, Denver Writes. I’m here, can you see me? But dad! I didn’t do anything, ugh. Too many holes to poke through. Out of laughter comes deep memory. Pencil poised, paper there, ideas not. Clown’s balloon against sky’s blue backdrop. boy lied. girl cried. love died. sacrifice to make, heart to break. breath of life, death by knife. loved her, but he left her. as skies turn gray, happiness fades. big city full of little expectations. pen and paper, become the dream-maker. The pen breaks, black ink everywhere. Laughing, playing, bouncing, until I fall. Big eyes, nose twitching, running away. I run, I trip, I scream. Nothing said to nobody in particular. In constant need of creative validation. Don’t overthink it, just write it. Six words can say so much. I asked. My cat said nothing. I said: ‘I think that’s right.’ Or ‘I think that’s right,’ I said. Cold rain falls on midnight roads. Icy rain falling over dusk roads. Fluffy snow settles on quiet roads. 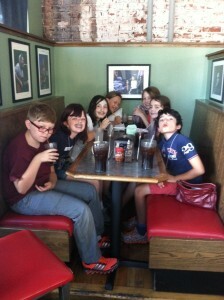 Summer Writing Camp — August! 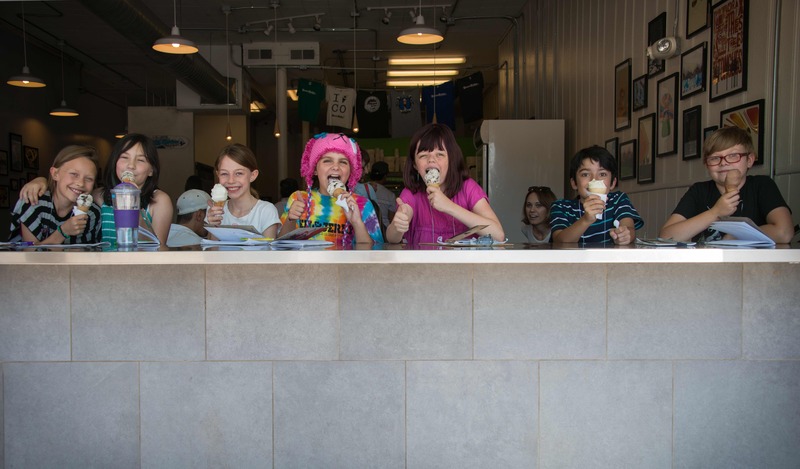 Seven students, one lead instructor, and many volunteers braved the heat this August to explore Denver with an eye for storytelling. On the first day, we read “The Blue Jar” by Isak Dinesen and brainstormed ideas for the heroes and heroines of our stories. We completed a scavenger hunt around Baker and learned how to give our characters backstory. This photo was taken by a blogger, Linnea Bullion, whom we met at Sweet Action. 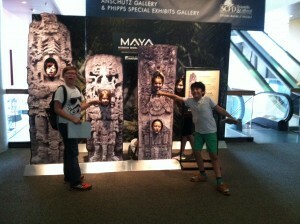 We love it and we think it captures the kids perfectly! You can check out more of her stuff on her website or on her tumblr site. 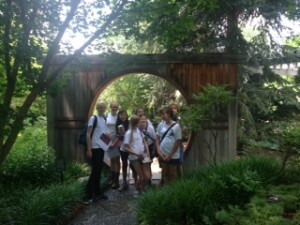 On day two, we listened to “The Distance of the Moon” by Italo Calvino, discussed the importance of setting, and visited the Botanic Gardens to find details for maps of our own imagined worlds. 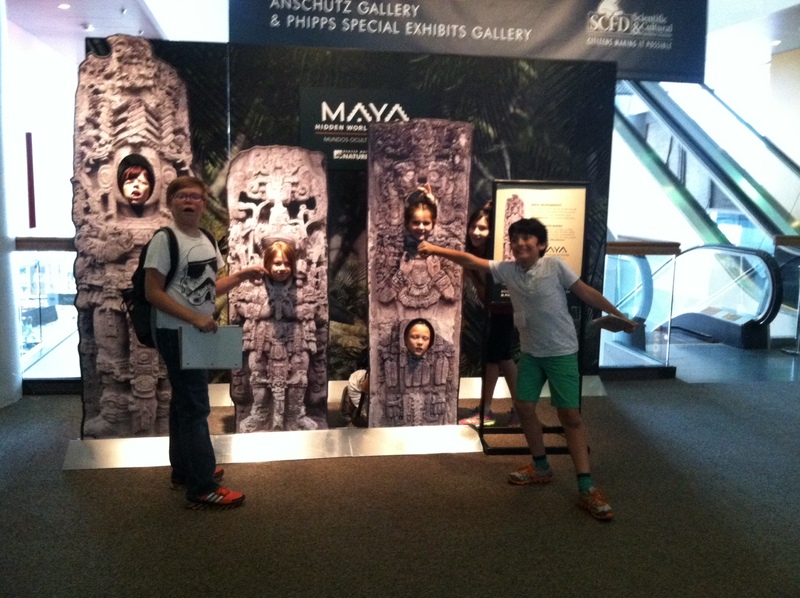 The third day, we read “Baba Iaga” by Joy Williams and visited the Museum of Nature & Science to gain inspiration for our story’s villains and monsters—we also created our own survival guides. On Thursday, we watched Jim Henson’s The Labyrinth—a favorite among the students—and learned to map out plots using the Fichtean Curve. Finally, on the last day, we talked about the revision process, made our own book covers, and students read their stories aloud to a captive audience. 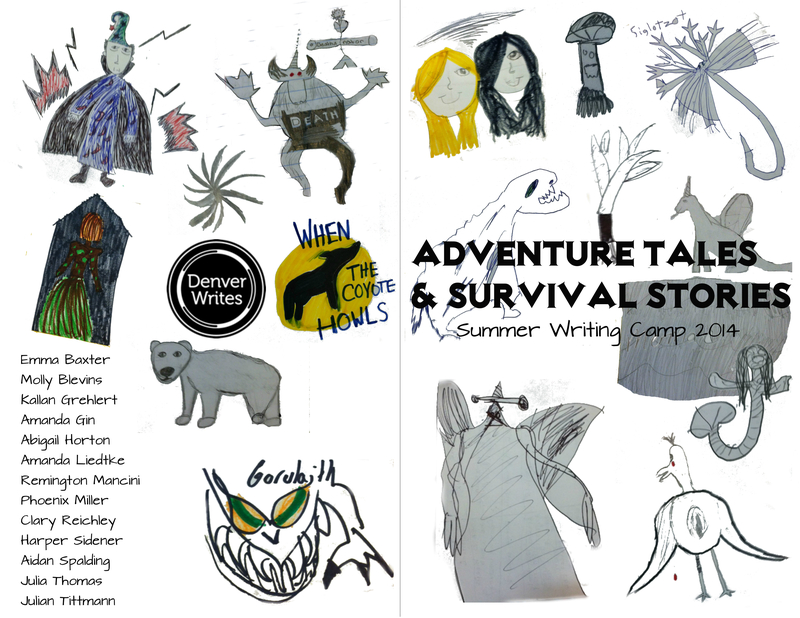 Keep your ear to the ground for information about next year’s summer writing camps with Denver Writes. And in the meantime, check out our monthly workshops and afterschool tutoring. We can’t wait until next summer! *Please note: You can print this in booklet format if you’d like — just save it as a pdf and choose the “Booklet” setting in Adobe Reader when you go to print. Having a duplex printer is necessary, but if you don’t, Office Max does! There are a lot of pages, and Denver Writes is working on printing these out and binding them in an interesting way so we can send a copy to each summer camper. Stay tuned June Summer Campers! In the meantime, enjoy this online copy. 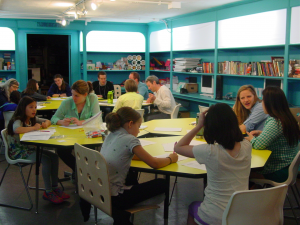 Summer Writing Camp — July! Oh my goodness did this week fly by! 11 writers (all girls) joined us in a week filled with LOTS of writing, MANY adventures, and TONS of great conversations! 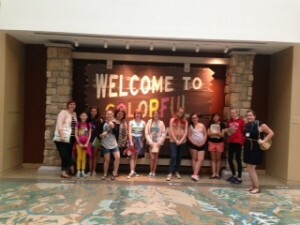 We built a lovely little writing community, and we trekked all over Denver to get inspired for our adventure stories. 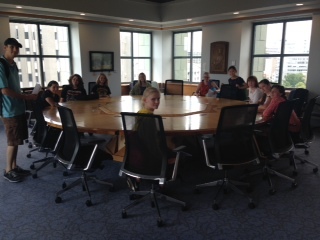 We visited the Maps and Atlases room at the Denver Public Library and sat at the Legacy Table (photo below). Hannah, our resource librarian, took extra good care of us, and went above and beyond to answer a question one of our campers had about paper towns in Colorado (what a great question, Melina!) 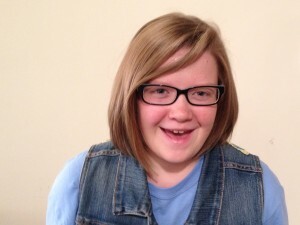 Hannah even wrote about it, and you can check it out here. Thanks, Hannah! We can’t wait to visit the library again soon! And if you haven’t read Paper Towns by John Green, we highly recommend you do. Everyday we spent time writing, sharing, and providing constructive feedback for one another. We created our own prompts, including, “Would you rather ____ or _____?” and sometimes the writing from these prompts ended up in our adventure stories. Check back soon for our online anthology! On Thursday, we went to the Botanic Gardens to see the Chihuly exhibit and oh my goodness wow! 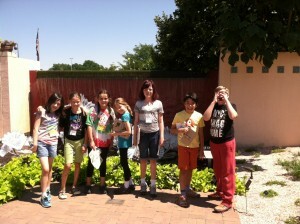 We talked about setting a lot this day, and were inspired by his amazing glass sculptures throughout the gardens. Do you notice that we’re all wearing the same shirt? Annie and her mom, Sarah, made these for us! On the front they say “MDPL” and have a typewriter below, and on the back, they chose individual fonts for us, which, oddly enough, perfectly match our unique personalities. Thank you both for the shirts! They will be treasured for a long time! On Friday, we chose our favorite excerpt, or excerpts, to read to our family and friends at our Publishing Party that evening. Then, we created books with an excerpt from everyone, plus photos from the week. These book binders will be loved for a very long time, we think. And, we’ll miss each other. It was just too much fun! We could not have done so much this week without the help of our incredible volunteers. Matt Costa, thank you for being our “go-to” for EVERYTHING! Binding books, picking up tape, taking out the recycling, helping us with our writing, navigating the RTD — THANK YOU! Jeannette Barrow, thank you for joining us on Tuesday and for sharing your love of writing with us! Please come back again soon! Alyssa Duomo, thank you for figuring out an easy way to bind our journals — seriously, that was SO helpful! And thank you for spending the day at the Botanic Gardens with us, too. 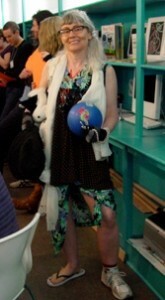 Of course, Sarah Anema, our lead instructor, was fabulous! She kept us on track, inspired and challenged us, and made this week one to be remembered. She was funny and fun and gave us more writing time whenever we asked for it. Sarah, THANK YOU! 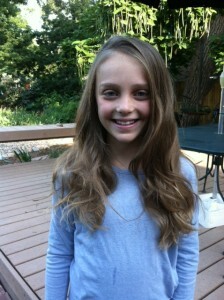 We love you, and so does Denver Writes! Does this sound like fun? Guess what? There’s one more camp in August! 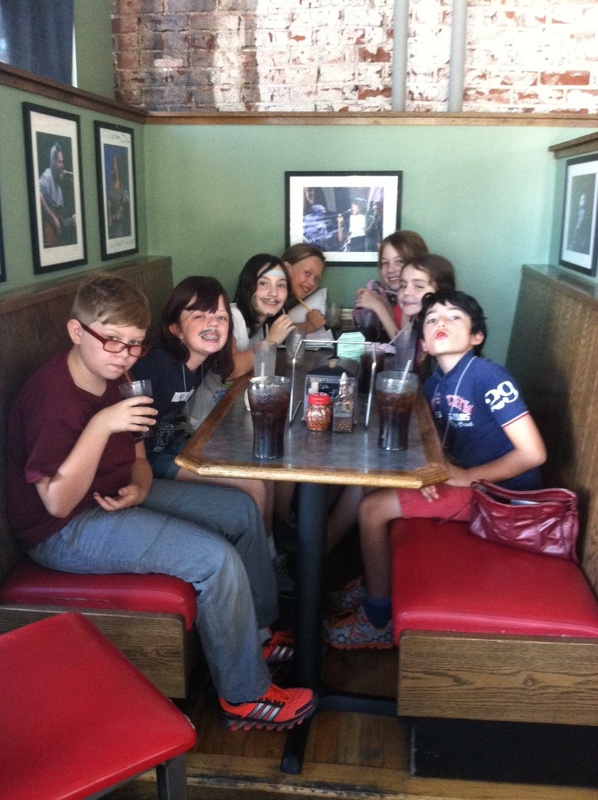 Ages 8-15 (we’ll figure out how to break into smaller, age specific groups) August 11th – 15th. We need 10 people to sign up to have the camp, so if you’re interested, fill out the application (here) and send it or email it by AUGUST 1st! Flash fiction, micro-fiction, sudden fiction…Whatever you’d like to call it, know this: These stories are short (and we mean short), intense (imagine a novel crossed with a haiku), and powerful (whether they’re illuminating a single moment or a whole life). We started by writing 20 word introductions about a friend, which is much harder than it sounds. How do you introduce somebody in 20 words or less? 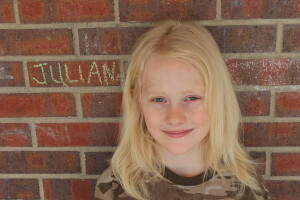 We quickly learned that we needed to choose the perfect words and the most important details to describe our friend. Then we brainstormed a list of important elements in fiction and talked about how flash fiction stories use these same elements but in a special way. We discussed what Flash Fiction IS and what Flash Fiction IS NOT. Finally, we wrote our own flash fiction stories, which you can read here. We really hope you enjoy them! WHY are mysteries so compelling to read? That’s easy! They’re like math problems to solve, they make you think about a characters’ motives, and it’s fun to act like detectives and look for clues! During this workshop, we talked about mystifying motives, compelling clues, surprising suspects, & diligent detectives. Using our observation skills and detective brains, we created an entire mystery around a strangely dressed visitor, Martha Seymore. Then we created our very own intriguing mysteries.